It is Wednesday Story Day again, and last week we saw Larry try to contact Gloria about how to get evidence on Cortez. We were all surprised to find out Gloria was on holiday. Our biggest shock was the knowledge that spirits take holidays. Before he left Micki’s shop, she suggested that he try to get the goods on one of Cortez’s confidants and then have the confidant supply information on Cortez. I believe the phrase is “rat out Cortez.” Larry is just getting back to his office where Andrew is waiting. Cortez sounds like one bad hombre. She has taken to finding a strip of sun to rest. Thank you, Gwen. I need sun too. That was unexpected. A little worrisome too. I would worry if I were these two. We will just have to wait and see. I love the word “blunderbuss.” Nice twist, John! Thank you, Jill. Its been a favorite of mine. You do know how to put twists and turns in your plot, John. I agree with Jill on the word blunderbuss, another favorite of mine is ballywick. I like it too. Some words just hit me. Ballywick is a good one. I’ve not heard blunderbuss before, but I dig. And what a twist! Cortez seems downright needy, which is good news. And bad news. Both. He does have a high affliation need for sure. Thanks Marc. Oooh! Waht a change in Cortez. I wonder what made him change his mind, or what he could be up to. I can’t wait to see what happens next week! Could be worse. At least it’s not high noon. That’s the one. Maybe you can reach Gary Cooper’s ghost. Well, this is a surprise – anxious to hear what Cortez has to say. So, the Big Guy himself is coming. I’m on the edge of my seat, eagerly awaiting further developments! Yup. He is heading their way. Hmmmm, I’m not so sure he’s worried, but he is coming on a fishing expedition. These two better be on their toes! This guy is no slacker. 🙂 Another great segment. Cognac and Coffee! Yeah, that works! Her leg is extended . It is her joint. Whodathought? Jeeze, John, I think I pulled a ligament. Cortez is coming to see them. Maybe he’s going to rat someone out. Then again, maybe he just wants to make sure they understood the message. Then again…oh, I’ll stop and wait until next week. But hurry. Typing as fast as I can, boss. I hope this meeting is more productive. Can’t wait to see what happens next. As to Cortez wanting to come to see them? I don’t have an easy feeling whatsoever. You should not feel easy for sure. Thanks, Dale. So the mountain will come to them? That is a very intriguing turn of events, John. Well played. 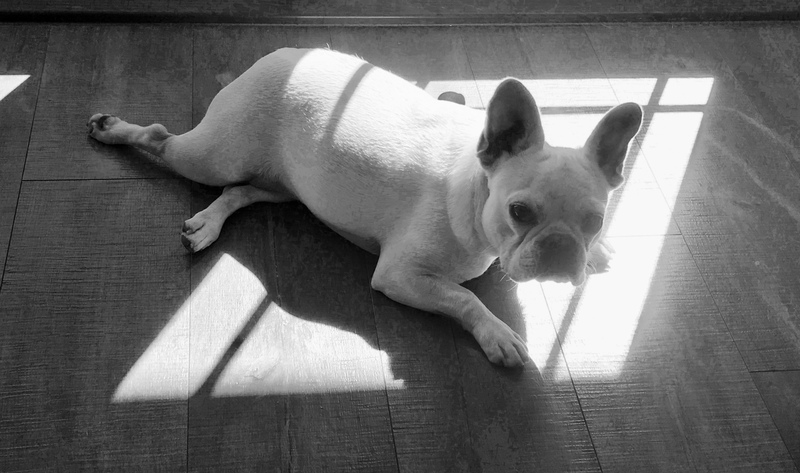 Twiggy’s sun bathing beauty photo is adorable. Hugs on the wing. M. Night Shamawhatever-his-name-is would be proud, John. ← Tuesday – Anything Possible – Kreative Kue # 204 by Keith Channing.